A gorgeous pair of briefs decorated with beautiful floral lace on the front and the back which scallops at the edges. At the front there is also a small panel of plain soft to touch material. 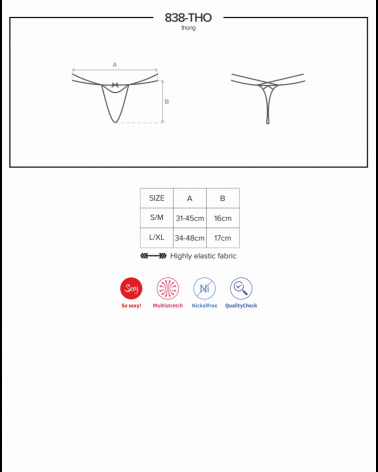 Stretchy waistband – a comfortable pair of briefs to wear! Cotton gusset on the inside. Available in black, white and beige which can all be ordered separately on the website. PLEASE NOTE: Item comes packaged in a branded Wolbar box.